Dogs are truly amazing animals and have been called “man’s” best friend for thousands of years. They are smart, can show great compassion and empathy, and are capable of intervening when their “humans” are in danger. 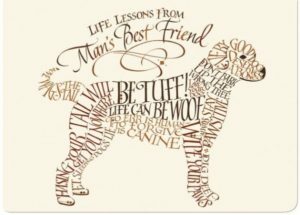 But what is it about dogs that truly gives them the edge to being “man’s best friend”? Recently a study was conducted to try to determine scientifically why humans and dogs bond with ease. What was discovered is that there occurs a surge of the hormone oxytocin, in both humans and dogs when they gaze into each other’s eyes. This is the same hormone surge that parents get when looking at their children, which in turn triggers the caring and parental instinct to protect their young. However, beyond this chemical reaction, there are many aspects that simply make dogs a joy to be around. DOGS ARE WONDERFUL COMPANIONS: Dogs can be persistent. They can watch you eat until you give in and hand them a scrap, or wait until you leave the table for the salt and steal from your plate! Bad habits or not, though, you have to love them. 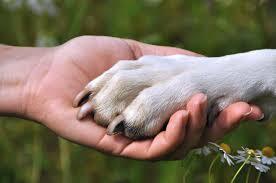 They will always be your loyal companion, and live to be by your side to help you through your day. They are able to perceive your emotions, and can even mimic them to help you overcome your grief or share in your joy. Dogs are awesome! DOGS ARE PROTECTIVE: Dogs have a natural instinct to protect their humans. We have all heard the stories about dogs doing amazing things, rescuing people, alerting them to dangers, even tipping off parents to babysitters that were abusing their children while they were gone. DOGS HAVE A GREAT MEMORY: While dogs may lack in short-term memory, their long-term memory is phenomenal. This is why puppies may be difficult to train at first, but yield to becoming attached to their humans for the longevity of their lives. DOGS ARE INTELLIGENT: Dogs are very smart – there are no two ways about it. Besides being trainable for good manners and tricks, dogs can be trained for a multitude services. They can be working dogs, helping guard people, property, and livestock, helping to herd, or pull carts or sleds. They can help hunt and track, and assist in rescues. They can be trained for mobility assistance, as guidance for persons visually or hearing impaired, or as therapy dogs for emotional support. The number of tasks that dogs can assist in continues to grow, but their intelligence is also definitely matched by their heart and willingness to serve. No matter how you justify it, dogs truly are “man’s best friend”. They show compassion and are protective of their humans when they need to be. They will remember you for life and show you their affection every time you walk in the door. The emotional connection between humans and dogs is a symbiotic cross-species relationship here to stay.